Electronic media is a growing area of academic publication. 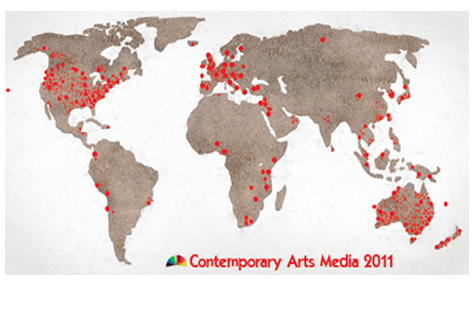 Contemporary Arts Media / Artfilms is a producer and distributor of arts related educational media. We offer over 5,500 titles on DVD across all art forms and supply art education resources to academic and school libraries worldwide. We are always looking for new resources for educational distribution. Producing a film about your teaching and research has many advantages: Your publications will be marketed and distributed worldwide to top universities and libraries including the U.S., U.K., Europe, Australia and South Eat Asia. Your work will be known, cited, and registered in the educational field. Libraries will make your material available for students, artists and teachers. Last but not least, you will receive royalties on sales of your product. Documentaries, exhibitions, projects, productions, documentations, research and works in progress. CD-Rom’s of documentation of projects, artworks, exhibition and thesis of written work. Interactive E-Book’s of a Doctoral Thesis including illustrations, film clips, and images. Guidance and advice in preparing the publication. Assistance in editing, production, product development and design. Worldwide marketing to universities, schools, and libraries. Manage Royalties. Please contact us with any queries. We hope to hear from you!